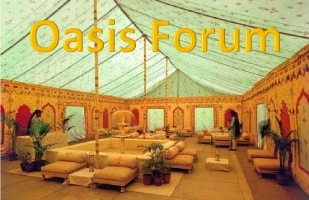 we have now completed the goldtent oasis site setup in its entirety from an upgraded server with basicly unlimited bandwidth to spam catcher programs and one click link posting right down to the exact size of the goldtent oasis font and all the comforts of home thanks to our webmaster wizard wwilliams aka weston williams of westontechnologies inc. who will be with us thru thick and thin taking care of the ‘IT’ of the site as circumstances require. I thank weston kindly as I also thank floridagold and ipso facto and buygold for their time and effort in making this site a go! and not the least of which i thank all of you for making the forum what it is. westontechnologies ……………$550 [one time cost] future costs if needed 50 per hour w/1/2 hour min. grand total ………………………$675 [rounded from 673] wanka thanks you for the $2 tip. all and all a very reasonable and responsible package considering we were paying $2400 per year on the PP for a dedicated server we really didn’t need since you can see for yourself the speed and response of our $78 per year upgraded shared server running the most modern wordpress program all of which we can truly thank weston for our wizard webmaster of westontechnologies. all that being said in a few days I’ll be putting together our first tent-a-thon for 2014. we will do a 1/2 c-note tent-a-thon for 13.5 contributors. I’ll pick up the slack and do a 1/2c-note + 1/2 for the 75 buck contribution for pre-tent-a-thon starters. that leaves an even 12 openings. I thank everyone for their patience as we worked thru this setup and also your understanding for the 503 bumps in the road that screwed with us royally for a couple of days till we upgraded to the top of the line plan offered by our shared server hosting company mantis.